Only nine again this week. Maybe it's the weather or perhaps board games are just seasonal. Or maybe next week everyone will come at once and we'll finally get over 20. I started off with Kemet, an area control game of Egyptian gods. I was some sort of blue crocodile. I got off to a slow start and thought I'd fallen too far behind but with a few sneaky moves I managed to hold my own. Steve was the first to 8 points (in fact he had 9) but it was at the end of the night and you need them at the end of the day to win. We spent our last turn trying to claw the victory points back off him but couldn't quite manage it. Both him and Dan finished with 8 but Steve had earned more through attack wins in a tie meaning he won Kemet two weeks in a row. Although playing the short game it took us over two hours. 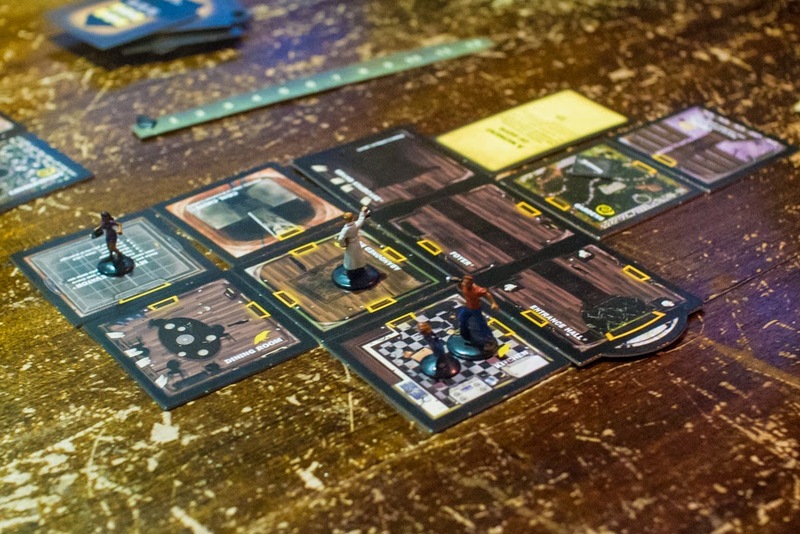 The others got a couple of games of Betrayal done in that time. Once with Frankenstein and once with something else that I've forgotten. Both times the betrayer lost. I left a bit earlier than normal but some more games were played. I think Coup and maybe some others.